Technically this gelato isn’t ‘polenta’ ice cream, but it’s made with corn flour. But when I was in Torino, Italy last year, a local gelateria was making what they were billing as a ‘polenta’ gelato, using farina bóna. Plus “Flour Ice Cream”, somehow doesn’t have the same appeal. I was happy, at long last, to get around the making gelato from this unusual ingredient that I picked up during the Slow Food event I’d attended. Unlike the derision* that similar events like this draw elsewhere (which was why I always avoided going), Monsieur Skeptic went with an unusually-open mind and was thrilled to discover so many unusual and nearly-extinct food products that the Slow Food Foundation is working to keep alive. Farina bóna is deeply-roasted corn, ground into flour, which was produced in villages, such as Vergeletto, in Switzerland, which had just 90 inhabitants. No one quite knows the origin of this roasted corn flour, but it fell out of favor after World War II, most likely when more convenient foods became available. And in 1960, the mill stopped producing the flour. 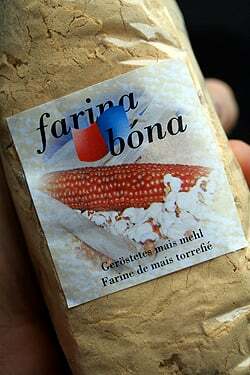 About thirty years later, the mill was restored by a museum and the production of this toasted corn flour started up again, and they’re trying to revitalize their economy by re-introducing farina bóna. I was surprised when I opened the little bag how potent the smell was: imagine popcorn, all ground up, but with the deep, smoky flavor of roasted corn. I could imagine many possibilities, but the one that was calling my name was, of course, ice cream. I decided to make this as a more traditional gelato, which usually means without eggs. And it was amazing, and really captured the flavor of the grilled corn. But I worried that presenting a recipe that few of you could make would be problematic (to say the least…), so I went to my health food store and tried toasting off some corn flour myself. It approximated the same flavor, although because the ears of corn weren’t toasted, just the flour—and the corn was surely a different variety, the flavor wasn’t quite the same. I searched online but couldn’t find any global sources for farina bóna. However I did find something called pinole de maiz, which they call “toasted corn flour”, which may be similar to masa de harina, although I’m not sure. If any readers know, I’d be interested in hearing about it. But from the looks of them, they would need to be toasted further to approximate farina bóna. Perhaps we all need to take a field trip to Switzerland since my stash needs refreshing after I made a few batches of this, one right after the other. Fondue anyone? This is a very rustic-tasting ice cream; don’t expect it to be as smooth and creamy as other ice creams. I loved it, but honestly, it may not be to everyone’s taste.The distinctive earthy flavor was a good match for some quick-candied cherries I had on hand. When fresh apricots come into season, I’m thinking of roasting some with brown sugar and Marsala to serve alongside. Poached pears or dried apricots would be welcome alongside a scoop of this, too. 1. Heat 1/2 cup (60ml) of the milk in a medium saucepan with the cream, sugar, farina bóna, and salt. Cook until the mixture just begins to boil, stirring constantly with a whisk to make sure the corn flour isn’t lumpy, and let it cook at a low boil for ten seconds, while continuing to whisk. 2. Remove from heat and stir in the remaining milk. 3. Transfer the mixture to a bowl and chill thoroughly. If you make this, use corn flour, not corn meal (or fine polenta). It has the consistency of wheat flour. I found mine easily in a natural food’s store. The corn flour will smoke quite a bit, exuding the toasty smell of fresh-popped popcorn, so open a window or use your hood fan. You want to cook the flour more than you think. You don’t want to burn it, but cook it to the right color for best flavor. 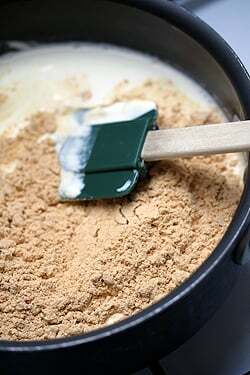 See the picture in the post of the farina bóna that I used, and use that as your guide. 1. Spread the corn flour in a medium skillet. Cook the corn flour over medium-high heat. Keep a non-stop watch over it, stirring almost constantly, as the flour on the bottom will cook faster than the flour on top. 2. 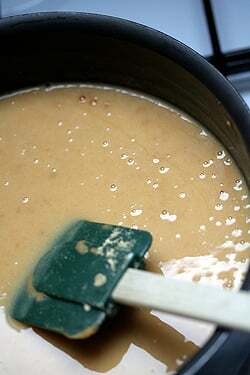 Continue stirring and cooking until the flour is deeply-toasted; the color of peanut butter. It will take between 7 and 10 minutes, depending on how high the heat is. 3. Once the flour is toasted to your satisfaction, remove from heat and let cool in the pan, stirring as it cools. If the corn flour seems dark enough when you remove it from the heat, transfer it to a plate to cool. *Some of the derision of Slow Food events has to do with the cost. The events in Italy are quite inexpensive, but that means there are mobs of people. (The one I went to had 180,000 visitors) The sheer hoards of visitors makes it hard to taste and explore what is being presented. And difficult for the vendors, who are doing more crowd control than explaining the specialness of their products. The difficulty, as always, is how to make these events affordable but still allowing people to get paid fairly for their hard work. My advice is to charge more, but include tasting ‘tickets’ so that people could redeem those for tastes, ensuring that the exhibitors get compensated for offering samples and guests have an easier time getting to taste the various offerings. Toscanini’s Ice Cream, which used to be on Mass Ave in Cambridge, Massachusetts, made an Indian pudding ice cream, which tasted of cornmeal as well as molasses and cinnamon. Hi Jane: Yes, I’ve seen recipes for Indian Pudding Ice Cream, which (I think) use cornmeal which gets boiled with spices. Hello David, one question about the recipe, after removing from the heat stir in the remaining of the heavy cream, but how much was on the saucepan in the first part?, and when goes the rest of the milk ? Pinole, depending on where you are in the Spanish speaking world, can mean simply cornstarch, or, more commonly, it is a mixture of finely ground corn (traditionally blue corn) and sugar that’s been toasted – it’s used, mixed with water, to make a drink, which, just to make things so much less confusing, is also called pinole. I have an awful, lurid food confession. After Thanksgiving I actually ate Cake Batter flavored ice cream from Coldstone Creamery – sticky, gaggingly sweet with who knows what kind of ingredients. And I loved it. Most copycat recipes I found online included a box of cake batter mix. Again, gag. I am delighted to see your cornflour creation. 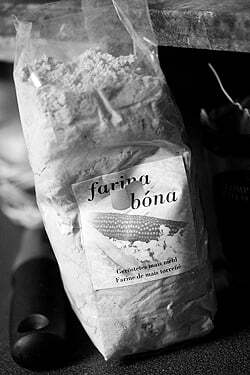 This farina bona is perhaps the original slow food cake batter ice cream! The story of the restored mill is amazing. I think that slowly the world is bringing back the old way of growing food, and it is really happening everywhere in the bay area. the farina bona sounds amazing, it would turn any polenta cake into a delicacy. Technically, since the farina di mais is boiled/cooked into the rest of the ingredients (therefore making polenta), the resulting gelato is rightly called gelato di polenta, as supposed to gelato di farina di mais. Confusing? This ice cream is really intriguing, but I am wary to make it with just any corn flour. Thanks for the continuous inspiration, I just made a hot fudge sauce from The Perfect Scoop and it was delicious. We have your ice cream book and love it. My husband makes ice cream almost every week. We live in the heart of Indiana, and one evening my husband was cutting some sweet corn off the cob, and thought it would make a great ice cream. He came up with a recipe that our friends have raved about! I’m sure he’ll be trying this one too! This one would be a great recipe to add to our annual polenta festa. I’ll be heading to the Dolomites in January and will search out some of that farina bona. I’ll let you know if I come up with it. That looks intriguing, would love to get my hands on some farina bona. I like your suggestion about the Slow Food event. I have just started a Slow Food Convivium in my city and I’m finding it difficult just to get enough people to join because of the membership fees. We are looking at how we can put on events that will be inexpensive so that they can reach more people. It is tough though, because part of Slow Food’s work is to make sure that the producers are being paid fairly for their work. much for posting about it. I think it is so important to keep old mills producing so hopefully recipes like this will bring attention to them. I found a source for pinole de maiz in the states called mexgrocer but they are out of stock now but would love to make this ice cream. It sounds like something you would find in Santa Fe at Cafe Pasqual’s! Really interesting. I wonder if I’d be able to buy that flour locally? This would be nice with grilled apricots to end a nice garden meal. Thanks for introducing it to me. Even if you did toast masa harina, you may not want to use it in place of farina bona. Masa harina, which is for making corn tortillas, is made from corn that has been treated with lime (calcium oxide). A good alternative may be harina de maiz extra fina (extra-fine corn meal), which is a GOYA product that may be available in your local asian or latin foods market. Puertoricans sometimes use it to make a breakfast cereal they call crema de maiz, which cooks up with milk, sugar and cinnamon into a silky thing that is more pudding than porridge. Toasted in the oven, I wonder if this would make a decent subsitute for farina bona. Natalia: The rest of the milk is added when the mixture comes off the heat, which helps cool it down. Kerrin: Wow! I didn’t realize they were making that flavor. That’s great and I’m sure a big boost fo Farina bóna. Will have to keep my eye out for it. lesbo-kitchen: Thanks. Since I don’t have access to those products, I can’t test them out. But appreciate the guidance, as I’m sure others do. Unplanned cooking: As mentioned, I did lots of searching online and didn’t come up with anything. But if you do, please feel free to share it here in the comments, and I’ll add it to the post. Kristin: Yes, these things are expensive to produce and the other half of the deal is paying the producers for their time and efforts. But I always avoided these kinds of events because I assumed it was just a bunch of foodies congratulating themselves on how cool they were. I once made a polenta from a low-fat cookbook that not even my dog would eat. I think you’re surely doing your part to aid in the preservation of rare ingredients such as farina bona, David — after reading this post, I want to hop on a plane to Switzerland and make my way to Vergeletto or put it on the itinerary the next time I go to Europe, just to get some farina bona for this gelato. For the time being, though, I’ll have to stick with finding corn flour or pinole de maiz and toasting it! I have masa harina in the pantry, but the smell reminds me of tamales, which might not go so well with gelato (I love tamales, but tamale gelato doesn’t sound so great). What a beautiful idea – and I love it that the Slow Food folks are out there still doing good. Thanks for this idea, it’s now on my list to do one day! I can remember having a mix of toasted ground corn and sugar, so I imagine that is what this ice cream tastes like. Regarding the harina extra fina used in Latin America mentioned above, it is used for things like arepas, but once I found Bob’s Red Mill corn flour, I haven’t touched the stuff. Bob’s Red Mill corn flour is just as fine, if not finer, but not stripped of all the nutrients and the germ that provides characteristic corn flavor. I love going to the gelaterias in Italy! You always discover something new and delicious. Sounds like a great recipe. 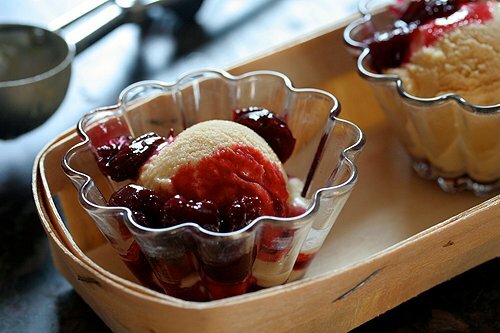 This is a very very interesting recipe, the flour – it reminds me of “la farine torrefie” that I tried to do, it’s something like ice cream made of “baked flour”…I must say that your blog is great, you explore new tastes of food and new recipes and I love it! I’ll try this recipe within a few days for sure and I hope I’ll have the chance to buy some of your books… :) cheers! 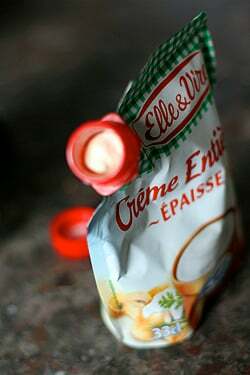 p.s:I’ve tried your Pain d’epices and I was thrilled! A few years ago, we had brown bread ice cream at a mill in Lower Slaughter, England. We liked it so much we considered going back for another cone, but thought, Oh, we’ll find more tomorrow in the next town. Nope. No more. We did not find it again on the trip. When we went to England this September, we were on a quest for brown bread ice cream again. I had even googled for it before we went, but alas, despite my googling and our stopping at every single ice cream store we saw, we did not find any. I suspect it is not unlike this polenta ice cream. PS We had grape-nuts ice cream when I was in high school in the Panama Canal Zone. Not quite as artisanal as polenta or brown bread, but it was yummy. The texture in the picture looks so lovely that I can imagine how grand the mouthfeel of that ice cream must be. I wish that the flour was available in the states so that I could more than just imagine! It is interesting that they started making that flour recently. Near me in Maryland, there’s a historic mill that has been restored and they’re doing the same thing–making old fashioned ground corn flour that smells FANTASTIC and selling it in the gift shop. It is amazing! Brilliant… I actually enjoy a slight grittiness to ice cream (sesame seed ice cream comes to mind—yum), and corn-flavored ice cream is exciting! The Farina Bona website has a picture of popcorn next to their product, so I googled “popcorn flour” for the heck of it. And guess what? One can make popcorn flour easily in a blender, according to the internets! I’m gonna try this tonight and make your incredible-sounding gelato. Many thanks! I went to a private supper club in Athens, Georgia (featured in last month’s Food and Wine), and for dessert we were presented with a trio of ice creams: bread, cheese, and pickle. Your recipe reminded me of the bread ice cream. I wonder if they actually used a wheat flour in the recipe; although my impression of it was something more distinctly yeasty. It was very interesting, as was the cheese. The pickle leaned a little more heavily toward odd than interesting; it felt like I was living a pregnant woman’s fantasy. Wow. Very interesting. A concept I don’t think I’d come up with. And I adore ice cream. Also– You might like to know (I’d want to) –your ice cream book is prominently displayed with the ice cream makers (Christmas display) at Chef’s Catalog in Colorado Springs (nice store), which isn’t too far down the street from where I live. I thought it was nice for you. How about a new “Christmas” ice cream? It’s 8 degrees F as I came home from a Christmas choir rehearsal tonight, but the peppermint in the freezer -bought for soon-to-arrive mother-in-law (her fave)- was calling. I often use it for nearly instant desserts this time of year. Add a scratch brownie and a T-Tiny bit of hot fudge in a stemmed crystal sherbet stem. What else for current and upcoming holidays? I love that rustic style. How about a little Nutella Drizzle. Nice! Tax on a tax, it’s what we have here in Canada. Ridiculous! I have lived in Switzerland (Basel) now for just over a year – haven’t made it to the Italian part yet – this might be just the fieldtrip to put me over the top. 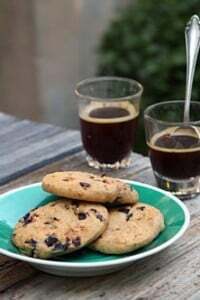 What a fun treasure hunt – the only problem now is that my small Swiss kitchen has no room for an ice cream maker…I have done the hand method once and while (a la Mark Bittman) so we shall see…what else can you do with this flour? Wow! Thats a new one to me and I thought I knew about ice cream. Great job. I second Bob’s Red Mill corn flour. It has a deep, yellow corn flavor that stand on it’s own and is very addictive. I won’t use anything else, especially in cornbread and cooking. Wow! Absolutely fantastic. Your creativity always surprise me. I’m a ice cream lover and this blog is such a bible to me. Congrats. I am a Japanese living in Zurich and I am delighted to read your article about the farina bóna. Especially because I just bought cookies made with it and I really loved them! Thanx for your interesting and mouth watering blog! You have intrigued me with this ice-cream for sure. My dad’s family still grows their own corn and makes their own flour. The fresh ground raw corn makes THE most delicious dumpling in soups. It doesn’t keep for very long so the rest is dried in the sun or roasted and made into a flour. I am wondering if using the freshly grated green corn might improve the texture. What an interesting recipe.. I don’t think I have heard of polenta ice cream before! David, I was wondering whether you have a recipe for a good gingerbread ice cream? I am planning on doing this for Christmas dessert. I had a look at the recipes and articles on your site but couldn’t find any. Do you think I could just make a normal vanilla ice cream and then just crumble in some gingerbread cookies? Hi Anita: I don’t have a Gingerbread Ice Cream recipe, but in The Perfect Scoop, there’s a recipe for Lemon Speculoos Ice Cream, which is a lemon ice cream with home ginger-spiced cookies folded in. 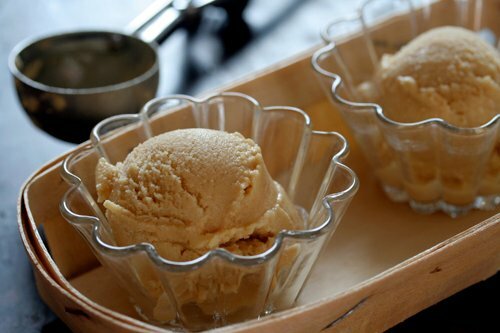 There’s also an interesting Pumpkin Ice Cream here in the site, that you might find interesting, too. 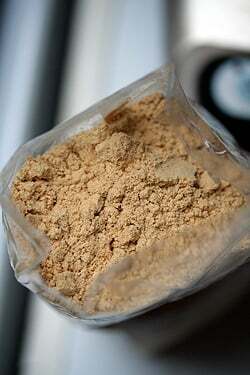 wizzythestick: Yes, there are some recipes for this toasted corn flour to be used in soups and as a ‘polenta’-like mush. I do plan to try some of them. Rylia: I also did a post: Making Ice Cream Without a Machine that you might find helpful as well. I just did a search and found this video on youtube about farina bona, the gelato and how they make the farina bona at the Valle Osernone in Ticino (really beautiful scenery). The video appears to be from a TV show. It’s in French, but I could get the gist of it. Thanks for the ice cream inspiration. Your flavor combinations are truly amazing. 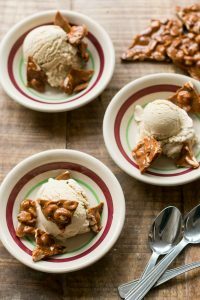 We recently used your basic ice cream recipe as a jumping off point, and made bourbon cigar ice cream. It was delicious!